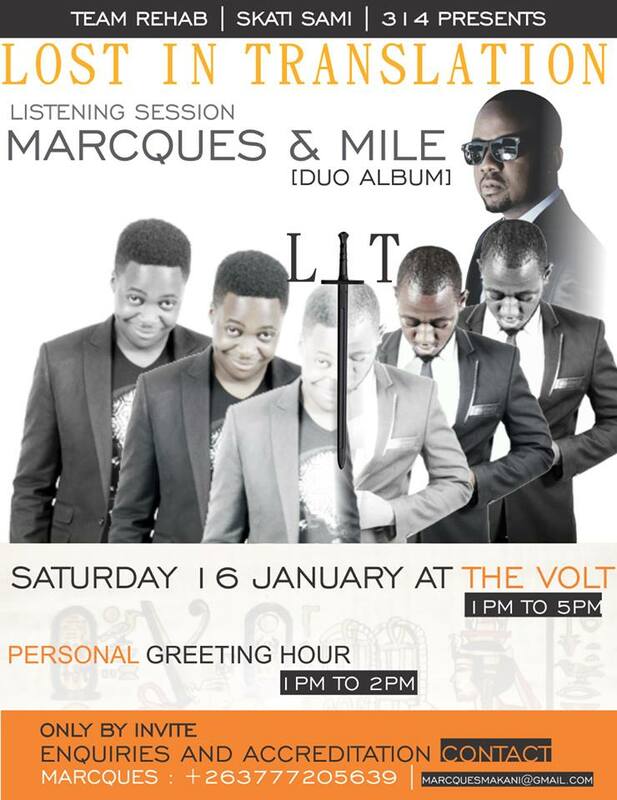 The Volt seems to be the new go-to-spot for all events Zim Hip-Hop-related. The Rehab duo Marcques and mile, who have previously collaborated quite a number of times are holding a listening session for their joint album LIT (short for Lost In Translation). Like all listening sessions this one will be accessible only by invitation. After a musical hiatus that lasted close to a year Marcques returned with the Young Nash-produced banger Nyarara. Mile also made a buzz last year, with his debut album GHOST, also being nominated at the 2015 Zim Hip-Hop Awards. Judging from the listening Session poster Anonzi Xndr is the producer of this album. Yours truly is one of the guests of this listening session and what I really want to know is, "Is LIT really lit?". I guess we will find out soon enough, right?" Lost In Translation is set for a Sunday 17 January release date.